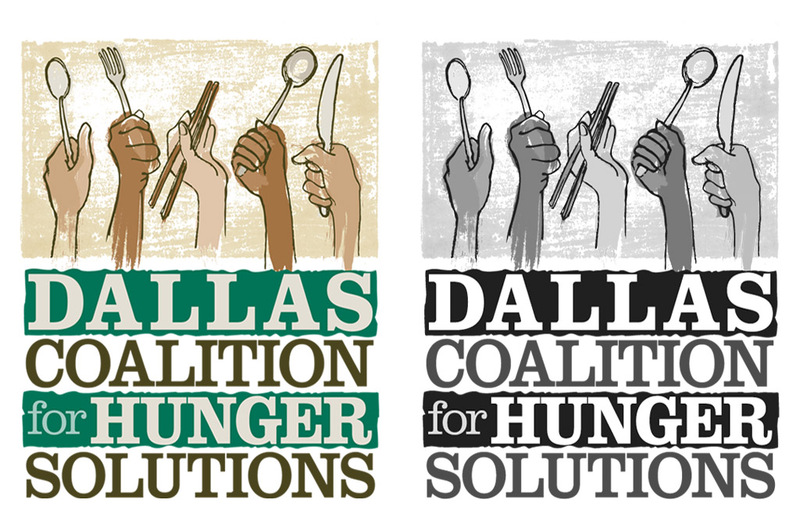 This logo for the Dallas Coalition for Hunger Solutions was created with the Dallas Baptist Association. The group is made up of the Texas Hunger Initiative, the North Texas Food Bank, and several other nonprofits/religious organizations. We worked on several versions before settling on this design with brush illustrations of various hands and eating utensils symbolizing the diversity of the people they serve.